There are protests going on all over Syria right now. As we all watch and pray for peace, I wanted to share some pictures from our recent trip to show you all how beautiful the country is, and how delicious the food is. Today, a dinner we had at Ameir’s Amto Shukriya’s house. Amto Shukriya invited us to an incredibly delicious dinner at her home in Damascus. It was almost entirely made of stuffed things – which, as you can imagine, takes hours of skill and patience to do. Malfouf – cabbage leaves stuffed with rice and ground beef. They’re braised in a broth flavored with lamb or beef bones, garlic, onions, and lemon. The garlic cloves are left whole so they braise with the stuffed cabbage and turn out soft and sweet. The lemon makes the broth slightly tart, but is balanced out by the smoothness of the beef broth. 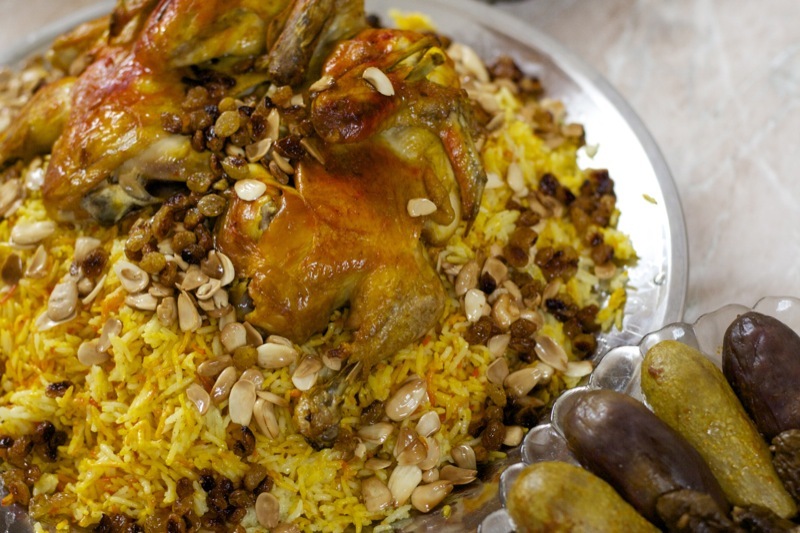 This is actually one of my favorite Arab dishes of all time. Look at the beautiful tomato rose Amto Shukriya made for the middle! 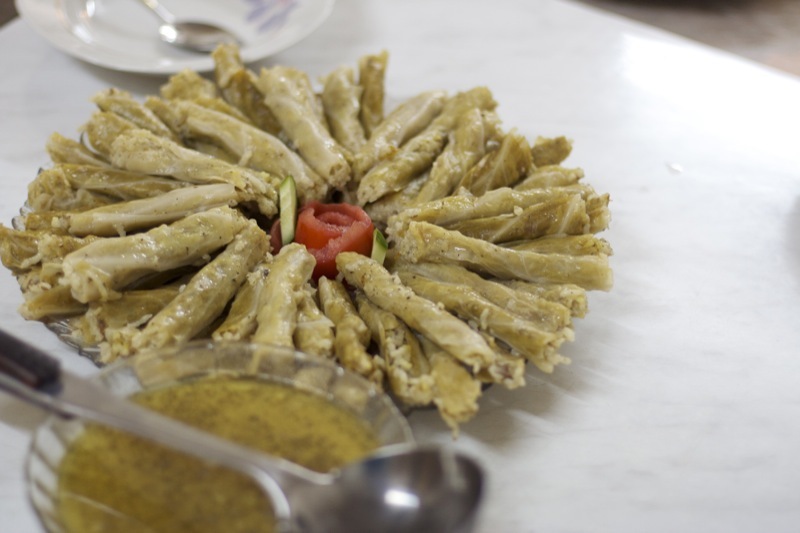 Mah’shi – vegetables stuffed with the same rice and ground beef mixture. In this case, Amto has made a kousa mah’shi (stuffed zucchini) and baitinjaan mah’shi (stuffed eggplant). Mah’shi is braised in a tomato broth. The cooking broths are served alongside the Makdous and Mah’shi so they can be poured over the rice. This is called Balti – Amto Shukriya says it comes from the Gulf Arab countries, but I think it has Persian and/or Indian-Pakistani roots. The chicken is roasted in curry-flavored spices. 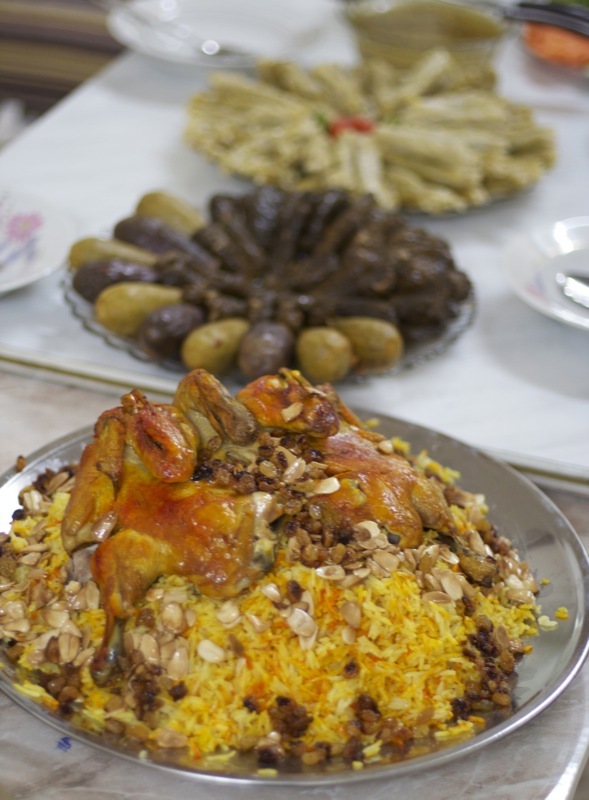 It is served on top of curried pilau flavored with nuts and raisins – a classic Persian technique. As you can imagine, we overate until we were as stuffed as the kousa. yummmmm! everything looks so perfect and amazing! Asalaamualaykum. I believe Shahid may have mentioned me to you some time ago, so I thought I would write and introduce myself here. Shahid mentioned your blog to me, so I had been perusing it for some time. 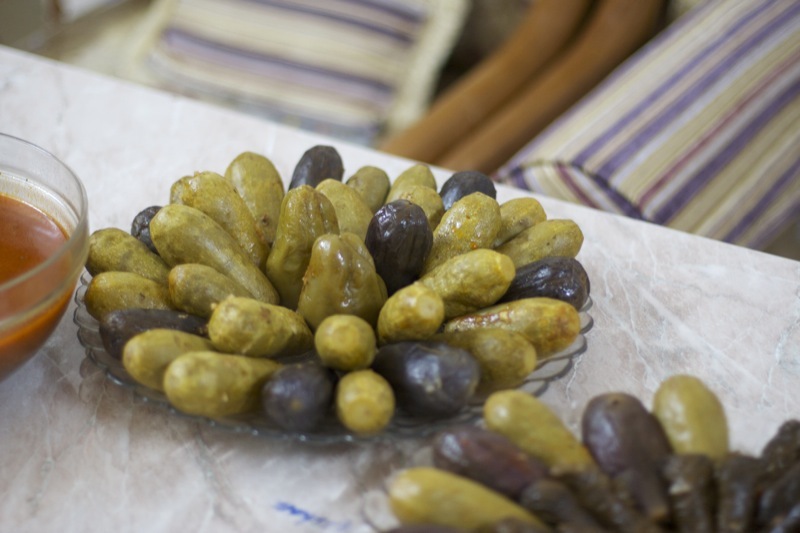 Lovely pictures of Syria that you have and some great culinary ideas! I also had seen the recipe for the braised french onion chicken with gruyere here and am tempted to give try it. I was wondering if you had tried it as well and perhaps had some suggestions or comments to share on that. I have almost been following your blog since the beginning when it was called “My Big Fat Pakistani Syrian Life”. I remember enjoying reading your stories about how you got engaged, going through law school, and the food parties you would create wonderful treats for. I admired all of your recipes and you gave me great desire to actually try a few of them. As I have a busy life, every now and then I would come back to your blog excited to see anything new you posted. I just wanted to say, please don’t ever stop posting recipes or whatever else on this blog. You have inspired me in many ways, especially when you talked about wearing a headscarf in law school & while you interned. You are a fantastic role-model for the community and your blog is simply a delight to read. p.s. 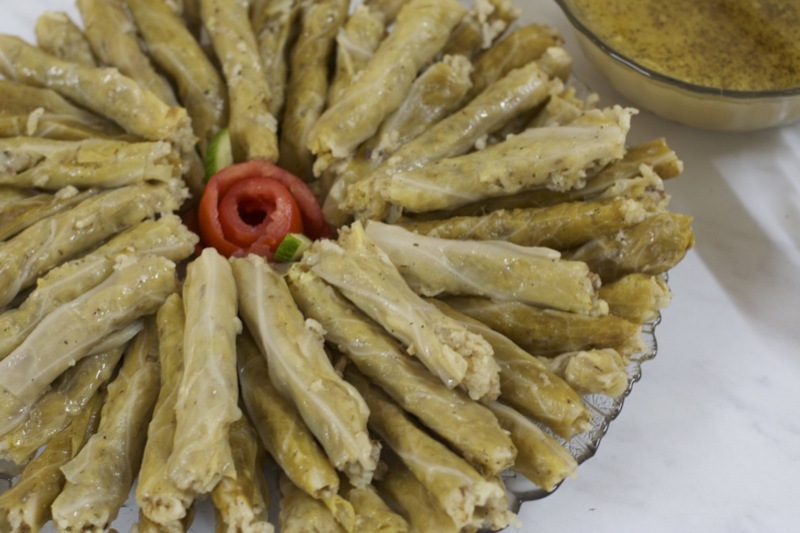 : do you have a step-by-step recipe on how to prepare Makdous? i love stuffed things. i love stuffing myself with stuffed things. come to my house and make something stuffed, preferably one of the above. actually, preferably all of the above. and i will stuff myself with it.